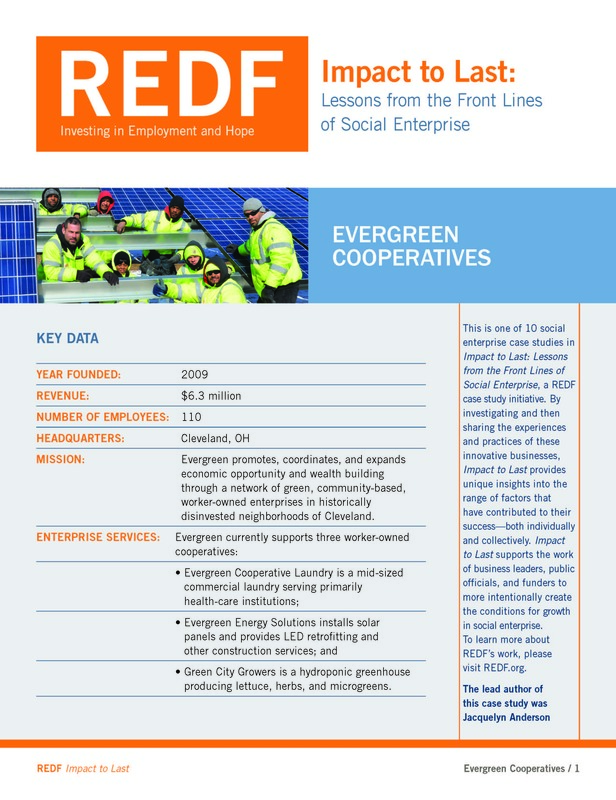 Related to the challenges of managing business operations is the implementation of the worker-owned cooperative model. The model is one of the key innovations of the Evergreen approach and an important mechanism for not only increasing income, but also building wealth for residents of the target neighborhoods. However, the approach was difficult to operationalize within the context of a new business. As Evergreen CEO John McMicken said, "What we realized a couple years ago is that we need more structure and centralized oversight during the start-up and incubation period prior to being financially independent." Read full report.